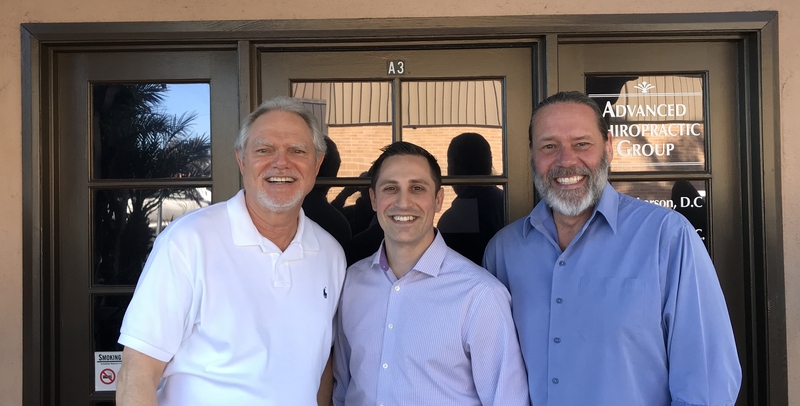 Welcome to Advanced Chiropractic Group! Every Santa Barbara chiropractor on our team has years of experience with the local community, and we hope to help your family heal too. We are committed to providing all-natural, long-term pain relief and wellness for patients of all ages and lifestyles. We also help prevent complications and manage chronic conditions with a variety of wellness techniques and approaches, from massage therapy and cold laser therapy to rehabilitation exercises and spinal adjustments. Our therapeutic techniques are natural alternatives to invasive surgery, addictive pharmaceuticals, and other treatment options that carry more risks and may only offer short-term relief. We want to promote healing and wellness throughout your whole body, rather than covering up the symptoms. Natural treatment methods at Advanced Chiropractic Group include heat and cold therapy for inflammation, massage therapy for muscle tension, and spinal manipulations for sprains and alignment problems. We will also work with you to make sure your lifestyle and diet are optimized for a health, balanced, ready-to-heal body. Proper spinal alignment is essential to avoid pain and inflammation, enjoy full range of motion, and allow the proper flow of nutrients and energy through your body. If you're suffering from neck pain, back pain, headaches, mobility loss, or any other symptoms of a spinal condition, your Santa Barbara chiropractor may perform chiropractic adjustments to restore alignment. Our chiropractors perform both manual and instrument-assisted adjustments, depending on the type and severity of your back or neck pain. These adjustments allow us to realign your discs, which promotes healing and corrects bulging, tension, or inflammation. Our goal immediate and long-term relief. We are happy to accept new patients at Advanced Chiropractic Group. If you live in Goleta, Isla Vista, Ventura, Montecito, or anywhere else in the greater Santa Barbara area, call (805) 681-7322 to schedule an appointment now with one of our Santa Barbara chiropractors. We also accept online requests, and our staff would be happy to answer your questions by phone before setting a date.